Spacious apartment, great for kids Loved the location. Have previously stayed at Surfers' Paradise which was too busy and dirty. This was right across from the surf club, a block from the nice restaurants in Tedder Ave and close to the yacht clucb/marina. Wonderful beach view apartment Sensational views, spacious balcony, helpful staff and a well appointed apartment - what more could you ask for. I’m looking forward to coming back! Situated on the waterfront, this apartment building is within 2 mi (3 km) of Mariner's Cove Marina, Sea World, and Surfers Paradise Beach. Nice place to stay Our room had great views but needed some maintenance and updating. The pool was great and the proximity to the beach and other points of interest was convenient. Would go back! It's time to ring the boss and put in your leave. New adventures await! 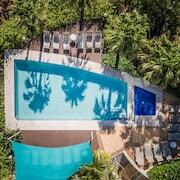 You'll find some insanely good-looking deals on hotels in Main Beach, 4 kilometres from central Gold Coast. Start making amazing memories (and snapping some brag-worthy selfies) at Sea World, Dreamworld and Warner Bros. Movie World, just some of Gold Coast's most famous sights. Surfers Paradise Beach and Cavill Avenue are in the area surrounding Main Beach. These noteworthy sights really ought to be on your agenda. Too exhausted to travel for miles? 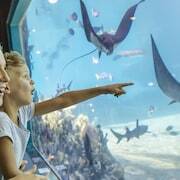 Want to find a lodging near Sea World? Simple. Check out the Palazzo Versace, Sheraton Grand Mirage Resort, Gold Coast, Contessa Condominiums, Sea World Resort and Norfolk Luxury Beachfront Apartments. You won't have to spend half the day in the car in order to experience Surfers Paradise Beach. Stay close by at the Peppers Soul Surfers Paradise, Peppers Broadbeach, Hilton Surfers Paradise Residences, ULTIQA Air On Broadbeach and Aria Apartments and have more time for the fun stuff. Surfers Paradise Beachfront Markets is an exciting spot to grab a discount or just soak up the atmosphere. There are a few places to crash close by. 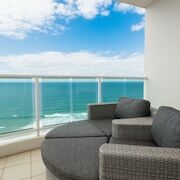 The Golden Sands Apartments and ULTIQA Beach Haven At Broadbeach are sensational spots to get some shut-eye. Ripley's Believe It or Not is a pretty nice place to keep yourself busy. Do you need somewhere to rest your head near here? 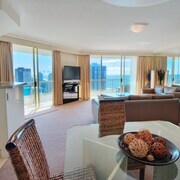 The Aegean Apartments and Mantra Circle on Cavill are popular with many visitors. Want somewhere to crash in Main Beach but don't want to burn through all your savings? Check out the legendary rates at the Main Beach Tourist Park. You'll want to snag a room quickly though, as this is one of the only budget accommodations here. What else are getaways for if not breaking the bank? 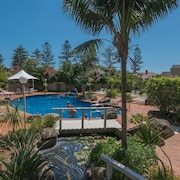 The Xanadu Main Beach Resort and Oscar on Main Resort are lastminute.com.au's recommended picks for those travellers who aren't afraid of throwing down a little extra cash. Been burning the candle at both ends? After a caffeine fix? Simple. Just follow the heavenly scent of coffee beans to Crema Espresso. Fortunately, it's not far away, so your heavy head won't have to wait too long! Bistro Chico is the best place to go when the caffeine kick wears off. Offering a delicious menu, the only worry you'll have here is deciding what to order! 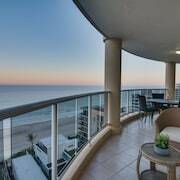 If you and the squad are having a hard time finding the ideal hotel in Main Beach, have a look at our Southport hotels guide. 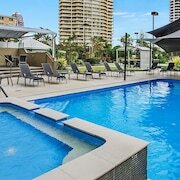 Alternatively, our lastminute.com.au Surfers Paradise hotels guide will get you sorted. Epic vistas and breathtaking adventures — stop living through your mates' travel feeds! With some guidance from lastminute.com.au, you'll be having your own awe-inspiring experiences in no time!